For much of the past three decades we have lagged behind many other states. 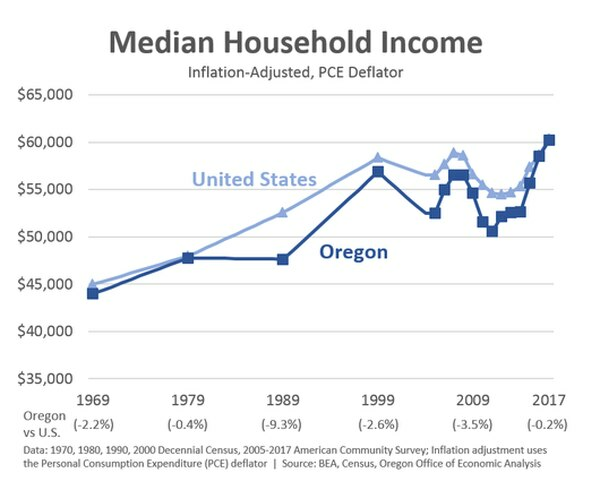 The U.S. Census Bureau is currently releasing troves of data, and Oregon's state economists are happily digging through it. One of the highlights so far: Numbers show that the longtime gap between household income here and in the rest of the country is no more. 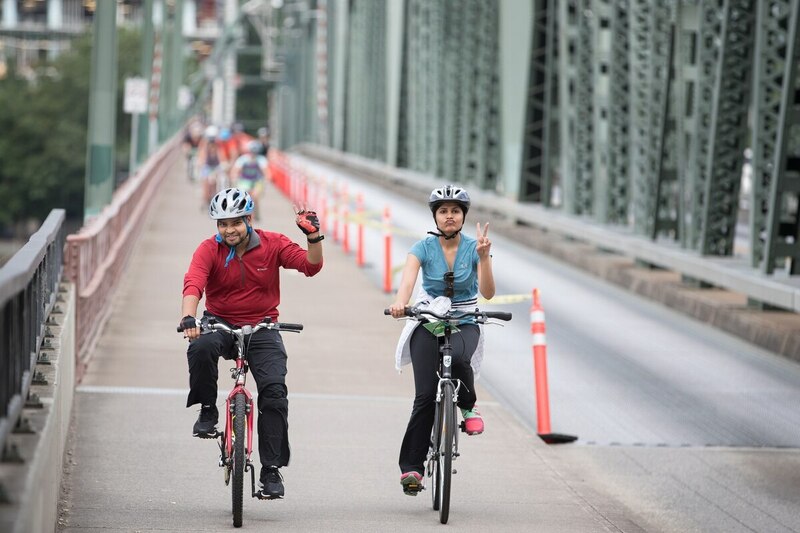 "The good news is that the improvements seen in the past few years are sizable. 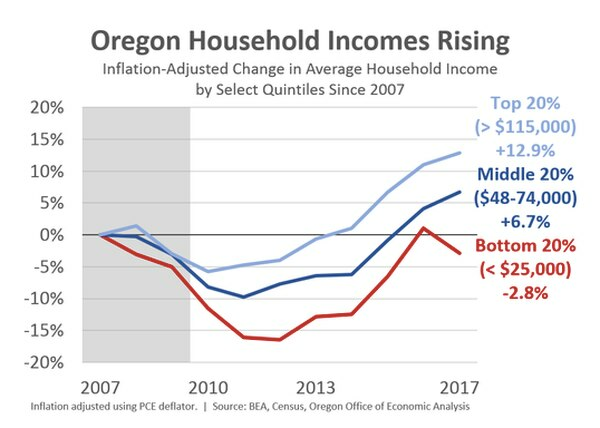 Oregonian incomes today are at their historic high," writes state economist Josh Lehner. 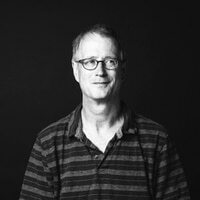 "And just like last year, they have essentially caught up to national incomes, which is something we haven't seen since the mills closed in the 1980s." Within that good news, there is bad news for Oregonians at the bottom end of the wage scale. "The one worrisome spot is that the bottom 20% of households did not see income gains last year," Lehner writes. "This decline in incomes for the lowest quintile is a surprise. This quintile had seen the strongest gains in recent years — driven by the labor market." Lehner says he cannot explain the drop in income at the lower end of the spectrum—and he's not sure if the data is accurate. 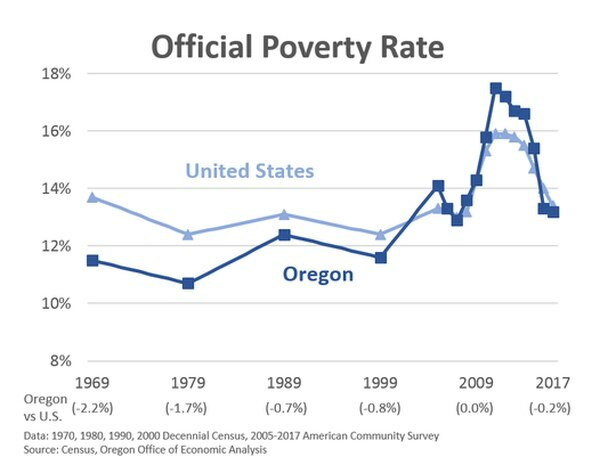 One slightly more positive trend, however, is that after several years when the state's poverty rate was above the national average, Oregon has come in line with other states.